You’ll be seeing triple as Stomping Ground House Team Cuddlefish shows you three iterations of the same scene and then takes you on a wild ride inspired by this threepeat. Three Best Friends flawlessly weave stories and characters in a way that lets you know they’re definitely connected on a cosmic level. Sunglow joins Friday Night Improv to shine light upon the SG stage with their cosmic scenework. 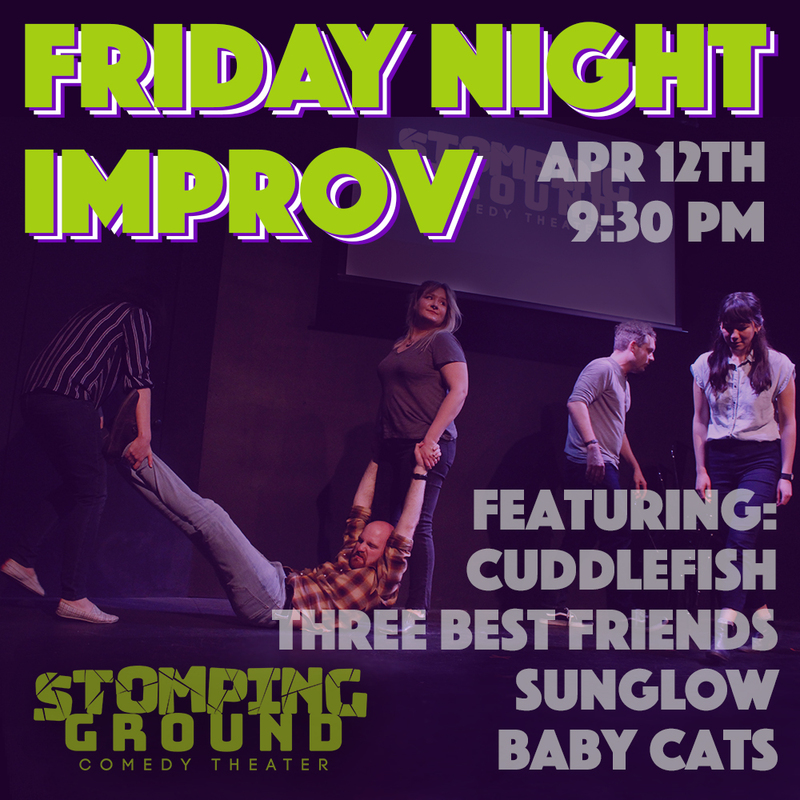 Stomping Ground’s House Team Baby Cats’ organic scenes are relatable and grounded, giving the audience those warm, fuzzy feelings you get when you spend time with your favorite furry friends.